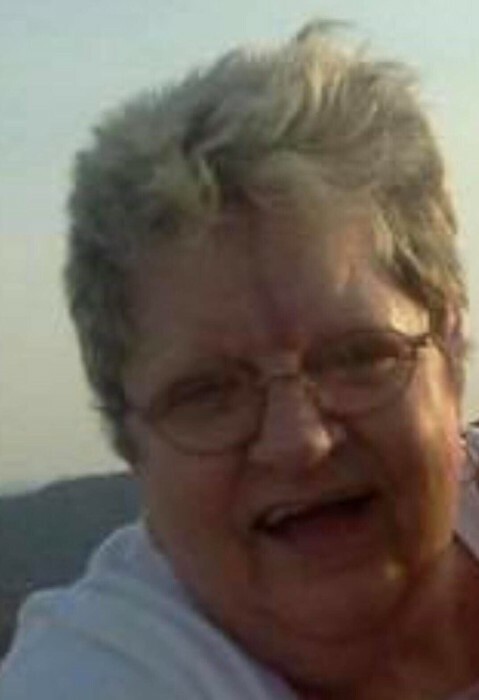 Betty Jo Blankenship, 68, of Majestic, KY, passed away on Thursday, November 15, 2018 at Hardy, KY. She was born November 27, 1949 in Lindsey, WV, a daughter of the late Howard and Della Carter Blankenship. In addition to her parents, she was preceded in death by two brothers: Earl Blankenship, Isom Jr. Blankenship; two sisters: Mildred Jones, Linda Blankenship; and a step-son: Jimmy Lee “Jimbo” Sanson. Betty was of the Pentecostal faith and attended the Faith Tabernacle Church at Majestic, KY. She was talented at making floral arrangements and enjoyed gardening. She was a wonderful caregiver to her parents for many years. Betty was a sociable and enjoyable person to be around and especially loved time spent with her grandchildren. Survivors include her loving companion: J.C. Sanson Jr. of Majestic, KY; one son: Donnie (Angie) Sanson of Hodges, SC; one daughter: Linda (Bill) Hammond of Kershaw, SC; step-daughter: Lee Sanson of TN; two sisters: Glendean Jablensky of Newtown, WV, Shirley Hurley of Newtown WV; two half-sisters: Emogene (Jim) Butler of OH, Helen Blankenship of Gilbert, WV; nine grandchildren: Eric (Kayla) Hammond of Newtown WV, Alexis Hammond of Kershaw, SC, Steven Hammond of Kershaw, SC, Kobe Sanson of Hodges, SC, Kayla Sanson of Hodges, SC, Jay Irick of South Pittsburg, TN, Chelsea Bowling of South Pittsburg, TN, Aaron Wamsley of South Pittsburg, TN, Nicholas Wamsley of South Pittsburg, TN; three great-grandchildren: Kade Hammond of Matewan, WV, Landon Hammond, Nevaeh Hammond both of Newtown, WV; along with a host of friends and family to mourn her passing. Funeral services will be conducted at 1:00 P.M. Wednesday, November 21, 2018 at the Jones & West Funeral Home Chapel with Rev. Charles Meek officiating. Burial will follow at the Sanson Family Cemetery, Majestic, KY.
Visitation will begin at 6:00 P.M. Tuesday at the funeral home with special services at 7:00 P.M.